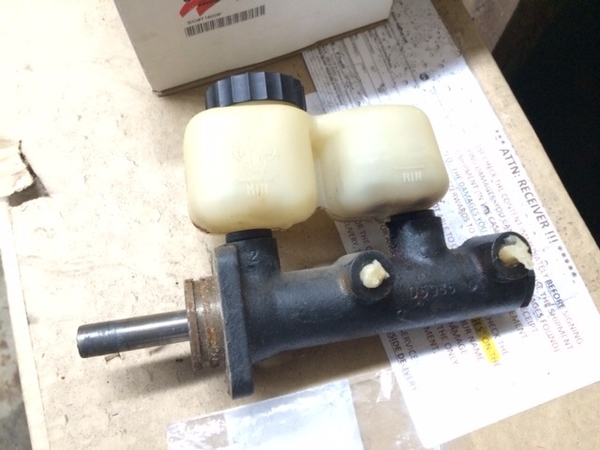 My stock brake master cylinder recently failed and in order to get back on the road ASAP I ordered what I believed to be an OEM brake master cylinder replacement. The master cylinder which failed has a cylindrical metal sleeve that extends back from the cylinder which slips over the pushrod inside the booster. The new master does not have this sleeve. Is the sleeve necessary? Is one of these not a stock master cylinder? Thanks in advance for the help. Here is the replacement that I received. You have to re-use the pushrod from the old unit. Also, before you install the new one in your car, be sure to bench bleed the master. It will save a lot of aggravation trying to get all the air out of the line if you install it dry. Thanks for the reply! I might have my terminology mixed up but what I believe to be the pushrod is depicted below. 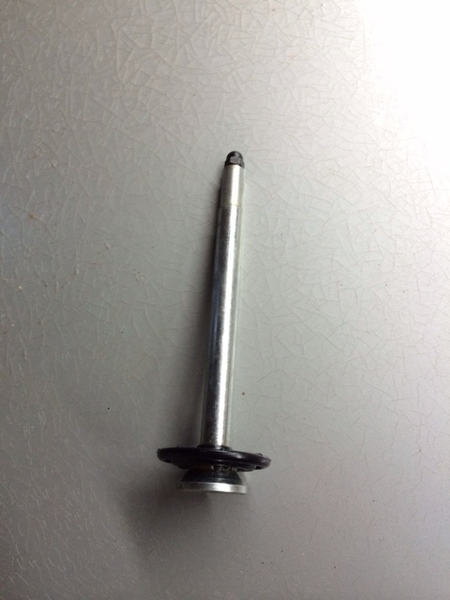 A new one of these was sent with the replacement master cylinder and the old one is still on the car in the booster. The sleeve extending out the back spins in place but does not seem to come out of the old master. It slipped over what I am referring to as the pushrod. Is my terminology wrong? Should the "sleeve" come free of the old master? Thanks again for the help! Another view of the "sleeve". The master cylinder changed over the years, maybe 3 versions, I am not familiar with all the differences, but would assume the sleeved version to be an early one. to center the rod. The last photo shows the internal circlip that needs to be removed to get the sleeve out, but as later variants did away with it and had a cupped piston to center the rod you likely don't require it. That is a cheap chinese rip off. The original master cylinder is different and still avaiable in Europe. I got mine from Roland in Hamburg. Well sh-t ! I hate to say (ask) but here goes . "So will it work . with proper installation ? " Also do you have a webb address and or part # for the sight your taking @ . Thanks for the input I appreciate your time . Send an email to detomaso@gmx.com. Roland knows his stuff. Agreed Roland knows his stuff, but this is the first time I have seen a master cylinder with the sleeve. I am not quite sure how you can tell the one in a bag is 'cheap Chinese rip off' from the photo though! 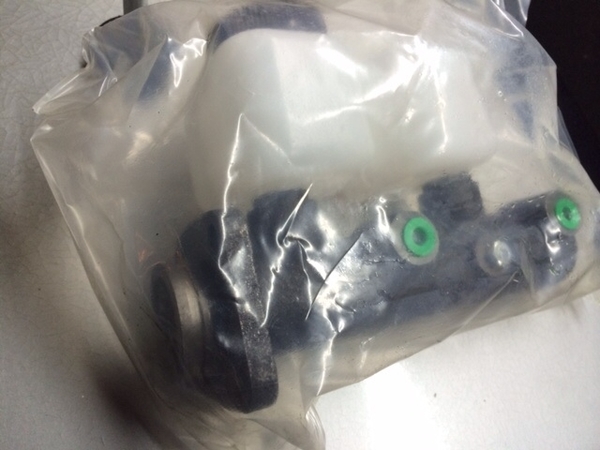 I also bought the one in the bag and I confirm that it is of poor quality (especially the brake fluid reservoir) but must work, but I preferred to buy from superformance.co.uk a very good OEM copy ref: 308 Right Hand Drive 30806095 (£ 269.95) that I mounted on my pantera and that works very well. You just have to get your old brake fluid reservoir and put it on the new brake master cylinder. Re quality ? As of right now,visually and holding it , the overall impressionist seems to be ok, but without actually performance testing it , might be a gamble of time and effort . In the past Iv bought things from china because the price was a fraction of the genuine part , of those mm? @ 85-90% worked out ,, But !,,, the parts that didn't , failed because of poor quality rubber , so idk ? Im gonna definitely ask Mr Roland , go from there , . Isn't it great when you buy a part , open the box and it looks exactly the same , and bolts right on ! Could happen ?Thanks for all the help . All original master cylinders have the sleeve. It is a guid for the pushrod. Inside the bonaldi brake booster is no guide for the push rod. There is only a little Cup that holds the Bottom of the rod in place. Imagine, what happens if the rod jumps out of the cup, it will fall square and then? …….. happy braking!!! Hello , I just got back to the Ponderosa ( home ) . Was away for a few . Re sleeve , ya I totally see the issue , that's why Im not getting how the replacement fits , or how to make it fit . Waiting to see what Roland has to say . Thanks . Gentlemen, I am in the same boat, having ordered a master cylinder from one of our reputable vendors many months ago. When I received the new master cylinder, I just set it aside, waiting till I was ready to install it. 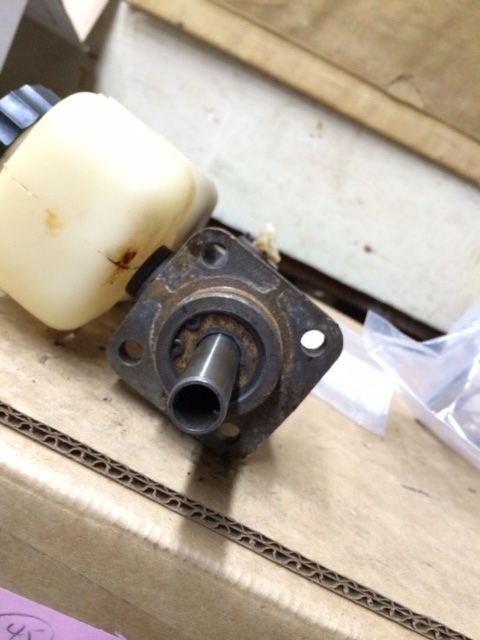 I am still not ready to install it, but after this topic came up, I went back and looked at what I received and found that I had received a new master cylinder without a sleeve and a new pushrod which was shipped loose. When I looked at a couple of old master cylinders that I picked up over the years, they were sleeved! Since the sleeve is supposedly very difficult to remove, I too would be very interested in how to resolve this problem! Any additional information that could lead to solving this problem would be greatly appreciated! Thanks! Thanks for the info LEDFT and yes I would be interested in hearing more details. I will get that measurement for you this afternoon. Attached are two (2) photos of the sleeve measurement that I took a few minutes ago. The distance from the top edge of the sleeve to the top of the metal plate beneath the circlip measured 1.930 inches. Hope this helps! I haven't tested this yet , just fyi. I disassembled the original master ,to do that pop the reservoir off, pull out the rubber seal out from the secondary feed port , looking down into that hole there's what looks like a main jet , get a flat head screwdriver remove it , remove the end cap and everything should come out of the master . Next I cut about .25 inch off the piston end of the sleeve (not sure was necessary ) then without grinding the "sleeve" I carefully reduced the circumference until it slid into the new master . Thanks for the info! It will be a while before I do this work, but the information you provided will be extremely helpful. Thanks again and good luck with your testing of the unit. Bill - Results- , working the sleeve until it matched the measurement you supplied, brakes work really good , better than I ever remember . Have only driven it 8-10 miles , but brakes feel good , so the custom fit sleeve works no doubt and wasn't hard to do. LEDFT, thanks for the update! I am glad everything worked out. I will definitely be looking at doing this to my MC as well!